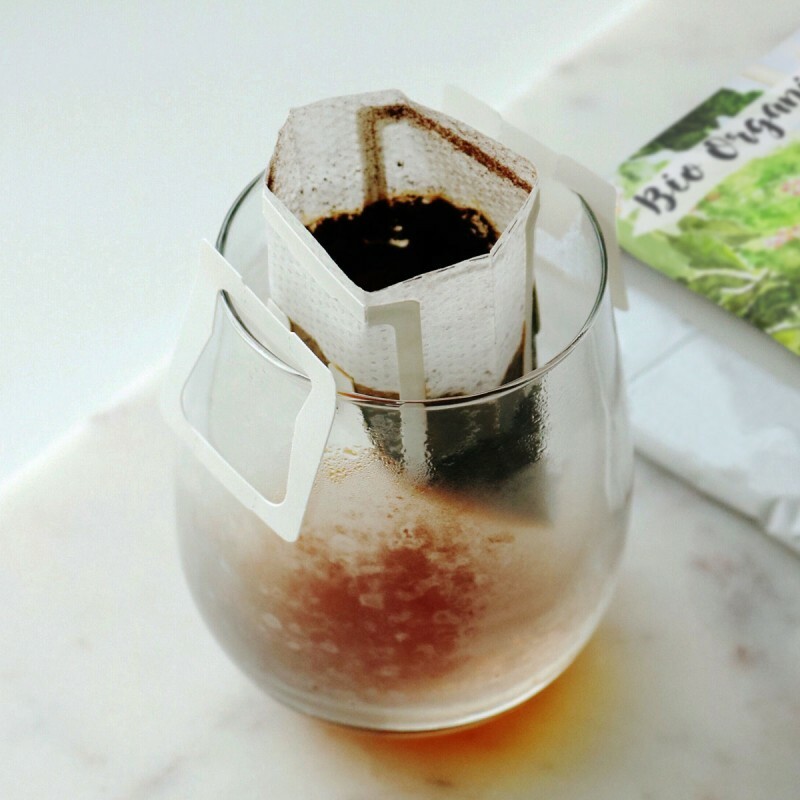 There are five flavors of coffee drip bags in the Coffee Journey including selections of Fair Trade, BIO Organic coffee, Decaffeinated, Espresso and Roma, origin from different coffee growing regions and roasted in Italy and Switzerland. 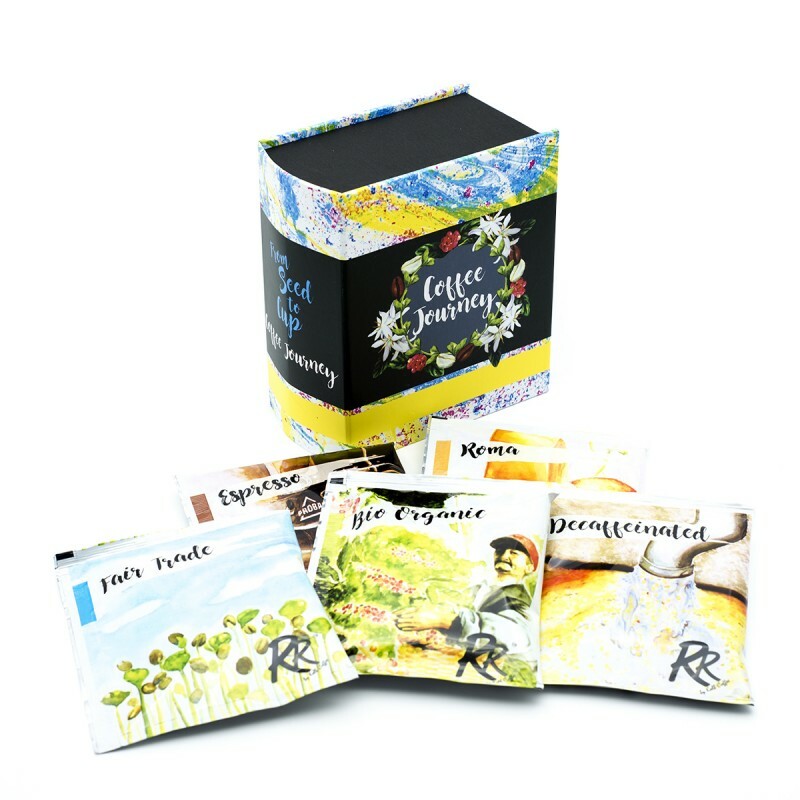 The coffee farmer basically defines the character & complexity of coffee through how they plant and harvest the bean. Processing is also the key for standing out the bean's characters from the factory. Moreover, coffee roaster decides the style & flavor through how they deep they roast it. Finally, Barista giving their best to perform the uniqueness of coffee for you. This is how normally artist provides such fruitful journey for us. 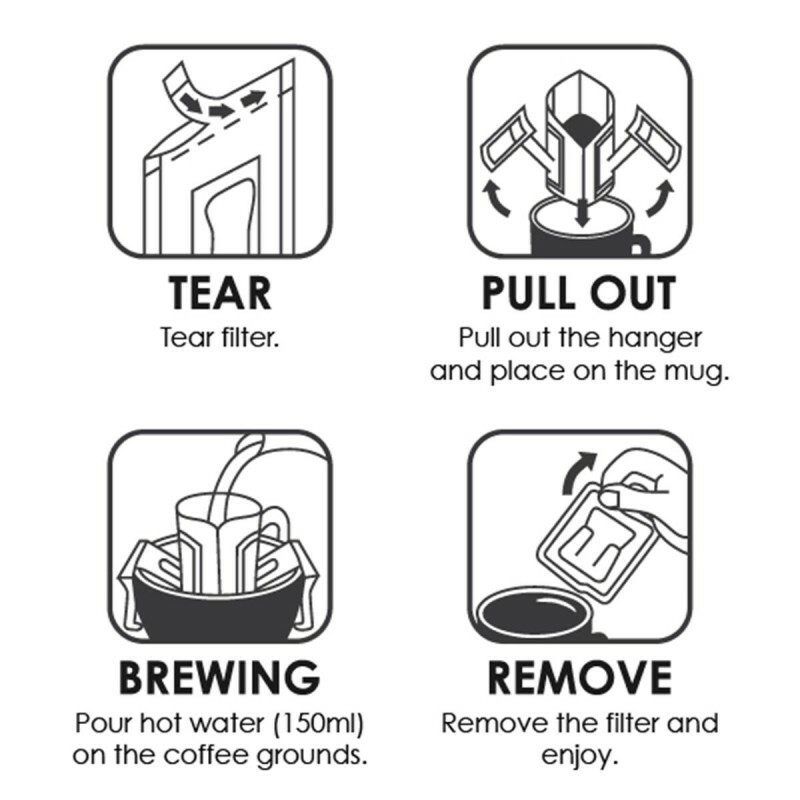 All you need is a mug and hot water (85-90 degree Celsius) and simply pour hot water into the coffee drip bag. In less than one minute to enjoy your coffee.